The release date of Medal of Honor is approaching, as the beta will open up for PC gamers from 4 to 7 October . The beta version will be available on the official game site and its Facebook page , testers just need a EA account or create one on the field to participate in these days of multiplayer massacre. According to the editor, the beta will focus solely on the multiplayer modes and Sector Combat Mission Control. 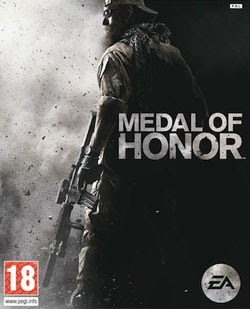 Medal of Honor is an upcoming first-person shooter video game in the Medal of Honor series, developed by Danger Close, a new studio within EA Los Angeles, and DICE, due for release on Microsoft Windows, PlayStation 3 and Xbox 360 October 12, 2010. The game will be a reboot of the series, taking place during the ongoing War in Afghanistan. "wiki"